It would be absurd to claim for the ancients any great attainments in science, such as they made in the field of letters or the realm of art. It is in science, especially when applied to practical life, that the moderns show their great superiority to the most enlightened nations of antiquity. In this great department of human inquiry modern genius shines with the lustre of the sun. It is this which most strikingly attests the advance of civilization. It is this which has distinguished and elevated the races of Europe, and carried them in the line of progress beyond the attainments of the Greeks and Romans. With the magnificent discoveries and inventions of the last three hundred years in almost every department of science, especially in the explorations of distant seas and continents, in the analysis of chemical compounds, in the wonders of steam and electricity, in mechanical appliances to abridge human labor, in astronomical researches, in the explanation of the phenomena of the heavens, in the miracles which inventive genius has wrought,–seen in our ships, our manufactories, our printing-presses, our observatories, our fortifications, our laboratories, our mills, our machines to cultivate the earth, to make our clothes, to build our houses, to multiply our means of offence and defence, to make weak children do the work of Titans, to measure our time with the accuracy of the planetary orbits, to use the sun itself in perpetuating our likenesses to distant generations, to cause a needle to guide the mariner with assurance on the darkest night, to propel a heavy ship against wind and tide without oars or sails, to make carriages ascend mountains without horses at the rate of thirty miles an hour, to convey intelligence with the speed of lightning from continent to continent and under oceans that ancient navigators never dared to cross,–these and other wonders attest an ingenuity and audacity of intellect which would have overwhelmed with amazement the most adventurous of Greeks and the most potent of Romans. But the great discoveries and inventions to which we owe this marked superiority are either accidental or the result of generations of experiment, assisted by an immense array of ascertained facts from which safe inductions can be made. It is not, probably, the superiority of the European races over the Greeks and Romans to which we may ascribe the wonderful advance of modern society, but the particular direction which genius was made to take. Had the Greeks given the energy of their minds to mechanical forces as they did to artistic creations, they might have made wonderful inventions. But it was not so ordered by Providence. At that time the world was not in the stage of development when this particular direction of intellect could have been favored. The development of the physical sciences, with their infinite multiplicity and complexity, required more centuries of observation, collection and collation of facts, deductions from known phenomena, than the ancients had had to work with; while the more ethereal realms of philosophy, ethics, aesthetics, and religion, though needing keen study of Nature and of man, depended more upon inner spiritual forces, and less upon accumulated detail of external knowledge. Yet as there were some subjects which the Greeks and Romans seemed to exhaust, some fields of labor and thought in which they never have been and perhaps never will be surpassed, so some future age may direct its energies into channels that are as unknown to us as clocks and steam-engines were to the Greeks. This is the age of mechanism and of science; and mechanism and science sweep everything before them, and will probably be carried to their utmost capacity and development. After that the human mind may seek some new department, some new scope for its energies, and an age of new wonders may arise,–perhaps after the present dominant races shall have become intoxicated with the greatness of their triumphs and have shared the fate of the old monarchies of the East. But I would not speculate on the destinies of the European nations, whether they are to make indefinite advances until they occupy and rule the whole world, or are destined to be succeeded by nations as yet undeveloped,–savages, as their fathers were when Rome was in the fulness of material wealth and grandeur. I have shown that in the field of artistic excellence, in literary composition, in the arts of government and legislation, and even in the realm of philosophical speculation, the ancients were our school-masters, and that among them were some men of most marvellous genius, who have had no superiors among us. But we do not see among them the exhibition of genius in what we call science, at least in its application to practical life. It would be difficult to show any department of science which the ancients carried to any considerable degree of perfection. Nevertheless, there were departments in which they made noble attempts, and in which they showed large capacity, even if they were unsuccessful in great practical results. Astronomy was probably born in Chaldaea as early as the time of Abraham. The glories of the firmament were impressed upon the minds of the rude primitive races with an intensity which we do not feel, with all the triumphs of modern science. The Chaldaean shepherds, as they watched their flocks by night, noted the movements of the planets, and gave names to the more brilliant constellations. Before religious rituals were established, before great superstitions arose, before poetry was sung, before musical instruments were invented, before artists sculptured marble or melted bronze, before coins were stamped, before temples arose, before diseases were healed by the arts of medicine, before commerce was known, those Oriental shepherds counted the anxious hours by the position of certain constellations. Astronomy is therefore the oldest of the ancient sciences, although it remained imperfect for more than four thousand years. The old Assyrians, Egyptians, and Greeks made but few discoveries which are valued by modern astronomers, but they laid the foundation of the science, and ever regarded it as one of the noblest subjects that could stimulate the faculties of man. It was invested with all that was religious and poetical. The spacious level and unclouded horizon of Chaldaea afforded peculiar facilities of observation; and its pastoral and contemplative inhabitants, uncontaminated by the vices and superstitions of subsequent ages, active-minded and fresh, discovered after a long observation of eclipses–some say extending over nineteen centuries–the cycle of two hundred and twenty-three lunations, which brings back the eclipses in the same order. Having once established their cycle, they laid the foundation for the most sublime of all the sciences. Callisthenes transmitted from Babylon to Aristotle a collection of observations of all the eclipses that preceded the conquests of Alexander, together with the definite knowledge which the Chaldaeans had collected about the motions of the heavenly bodies. Such knowledge was rude and simple, and amounted to little beyond the fact that there were spherical revolutions about an inclined axis, and that the poles pointed always to particular stars. The Egyptians also recorded their observations, from which it would appear that they observed eclipses at least sixteen hundred years before the beginning of our era,–which is not improbable, if the speculations of modern philosophers respecting the age of the world are entitled to credit. The Egyptians discovered by the rising of Sirius that the year consists of three hundred and sixty-five and one-quarter days; and this was their sacred year, in distinction from the civil, which consisted of three hundred and sixty-five days. They also had observed the courses of the planets, and could explain the phenomena of the stations and retrogradations; and it is asserted too that they regarded Mercury and Venus as satellites of the sun. Some have maintained that the obelisks which the Egyptians erected served the purpose of gnomons for determining the obliquity of the ecliptic, the altitude of the pole, and the length of the tropical year. It is thought even that the Pyramids, by the position of their sides toward the cardinal points, attest Egyptian acquaintance with a meridional line. The Chinese boast of having noticed and recorded a series of eclipses extending over a period of thirty-eight hundred and fifty-eight years; and it is probable that they anticipated the Greeks two thousand years in the discovery of the Metonic cycle,–or the cycle of nineteen years, at the end of which time the new moons fall on the same days of the year. The Chinese also determined the obliquity of the ecliptic eleven hundred years before our era. The Hindus at a remote antiquity represented celestial phenomena with considerable exactness, and constructed tables by which the longitude of the sun and moon were determined, and dials to measure time. Bailly thinks that thirty-one hundred and two years before Christ astronomy was cultivated in Siam which hardly yields in accuracy to that which modern science has built on the theory of universal gravitation. But the Greeks after all were the only people of antiquity who elevated astronomy to the dignity of a science. They however confessed that they derived their earliest knowledge from the Babylonian and Egyptian priests, while the priests of Thebes claimed to be the originators of exact astronomical observations. Diodorus asserts that the Chaldaeans used the Temple of Belus, in the centre of Babylon, for their survey of the heavens. But whether the Babylonians or the Egyptians were the earliest astronomers is of little consequence, although the pedants make it a grave matter of investigation. All we know is that astronomy was cultivated by both Babylonians and Egyptians, and that they made but very limited attainments. They approximated to the truth in reference to the solar year, by observing the equinoxes and solstices and the heliacal rising of particular stars. The early Greek philosophers who visited Egypt and the East in search of knowledge, found very little to reward their curiosity or industry,–not much beyond preposterous claims to a high antiquity, and to an esoteric wisdom which has not yet been revealed. Plato and Eudoxus spent thirteen years in Heliopolis for the purpose of extracting the scientific knowledge of the Egyptian priests, yet they learned but little beyond the fact that the solar year was a trifle beyond three hundred and sixty-five days. No great names have come down to us from the priests of Babylon or Egypt; no one gained an individual reputation. The Chaldaean and Egyptian priests may have furnished the raw material of observation to the Greeks, but the latter alone possessed the scientific genius by which undigested facts were converted into a symmetrical system. The East never gave valuable knowledge to the West; it gave the tendency to religious mysticism, which in its turn tended to superstition. Instead of astronomy, it gave astrology; instead of science, it gave magic, incantations, and dreams. The Eastern astronomers connected their astronomy with divination from the stars, and made their antiquity reach back to two hundred and seventy thousand years. There were soothsayers in the time of Daniel, and magicians, exorcists, and interpreters of signs. They were not men of scientific research, seeking truth; it was power they sought, by perverting the intellect of the people. The astrology of the East was founded on the principle that a star or constellation presided over the birth of an individual, and that it either portended his fate, or shed a good or bad influence upon his future life. The star which looked upon a child at the hour of his birth was called the “horoscopus,” and the peculiar influence of each planet was determined by the astrologers. 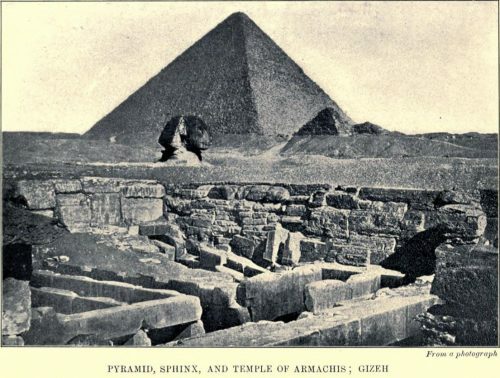 The superstitions of Egypt and Chaldaea unfortunately spread among both the Greeks and Romans, and these were about all that the Western nations learned from the boastful priests of occult Oriental science. Whatever was known of real value among the ancients is due to the earnest inquiries of the Greeks. And yet their researches were very unsatisfactory until the time of Hipparchus. The primitive knowledge was almost nothing. The Homeric poems regarded the earth as a circular plain bounded by the heaven, which was a solid vault or hemisphere, with its concavity turned downward. This absurdity was believed until the time of Herodotus, five centuries after; nor was it exploded fully in the time of Aristotle. The sun, moon, and stars were supposed to move upon or with the inner surface of the heavenly hemisphere, and the ocean was thought to gird the earth around as a great belt, into which the heavenly bodies sank at night. Homer believed that the sun arose out of the ocean, ascended the heaven, and again plunged into the ocean, passing under the earth, and producing darkness. The Greeks even personified the sun as a divine charioteer driving his fiery steeds over the steep of heaven, until he bathed them at evening in the western waves. Apollo became the god of the sun, as Diana was the goddess of the moon. But the early Greek inquirers did not attempt to explain how the sun found his way from the west back again to the east; they merely took note of the diurnal course, the alternation of day and night, the number of the seasons, and their regular successions. They found the points of the compass by determining the recurrence of the equinoxes and solstices; but they had no conception of the ecliptic,–of that great circle in the heaven formed by the sun’s annual course,–and of its obliquity when compared with our equator. Like the Egyptians and Babylonians, the Greeks ascertained the length of the year to be three hundred and sixty-five days; but perfect accuracy was lacking, for want of scientific instruments and of recorded observations of the heavenly bodies. The Greeks had not even a common chronological era for the designation of years. Herodotus informs us that the Trojan War preceded his time by eight hundred years: he merely states the interval between the event in question and his own time; he had certain data for distant periods. The Greeks reckoned dates from the Trojan War, and the Romans from the building of their city. The Greeks also divided the year into twelve months, and introduced the intercalary circle of eight years, although the Romans disused it afterward, until the calendar was reformed by Julius Caesar. Thus there was no scientific astronomical knowledge worth mentioning among the primitive Greeks. Immense research and learning have been expended by modern critics to show the state of scientific astronomy among the Greeks. I am amazed equally at the amount of research and its comparative worthlessness; for what addition to science can be made by an enumeration of the puerilities and errors of the Greeks, and how wasted and pedantic the learning which ransacks all antiquity to prove that the Greeks adopted this or that absurdity! The earliest historic name associated with astronomy in Greece was Thales, the founder of the Ionic school of philosophers. He is reported to have made a visit to Egypt, to have fixed the year at three hundred and sixty-five days, to have determined the course of the sun from solstice to solstice, and to have calculated eclipses. He attributed an eclipse of the moon to the interposition of the earth between the sun and moon, and an eclipse of the sun to the interposition of the moon between the sun and earth,–and thus taught the rotundity of the earth, sun, and moon. He also determined the ratio of the sun’s diameter to its apparent orbit. As he first solved the problem of inscribing a right-angled triangle in a circle, he is the founder of geometrical science in Greece. He left, however, nothing to writing; hence all accounts of him are confused,–some doubting even if he made the discoveries attributed to him. His philosophical speculations, which science rejects,–such as that water is the principle of all things,–are irrelevant to a description of the progress of astronomy. That he was a great light no one questions, considering the ignorance with which he was surrounded. Anaximander, who followed Thales in philosophy, held to puerile doctrines concerning the motions and nature of the stars, which it is useless to repeat. His addition to science, if he made any, was in treating the magnitudes and distances of the planets. He constructed geographical charts, and attempted to delineate the celestial sphere, and to measure time with a gnomon, or time-pillar, by the motion of its shadow upon a dial. Anaximenes of Miletus taught, like his predecessors, crude notions of the sun and stars, and speculated on the nature of the moon, but did nothing to advance his science on true grounds, except by the construction of sun-dials. The same may be said of Heraclitus, Xenophanes, Parmenides, and Anaxagoras: they were great men, but they gave to the world mere speculations, some of which are very puerile. They all held to the idea that the heavenly bodies revolved around the earth, and that the earth was a plain; but they explained eclipses, and supposed that the moon derived its light from the sun. Some of them knew the difference between the planets and the fixed stars. Anaxagoras scouted the notion that the sun was a god, and supposed it to be a mass of ignited stone,–for which he was called an atheist. Socrates, who belonged to another school, avoided all barren speculations concerning the universe, and confined himself to human actions and interests. He looked even upon geometry in a very practical way, valuing it only so far as it could be made serviceable to land-measuring. As for the stars and planets, he supposed it was impossible to arrive at a true knowledge of them, and regarded speculations upon them as useless. It must be admitted that the Greek astronomers, however barren were their general theories, laid the foundation of science. Pythagoras taught the obliquity of the ecliptic, probably learned in Egypt, and the identity of the morning and evening stars. It is supposed that he maintained that the sun was the centre of the universe, and that the earth revolved around it; but this he did not demonstrate, and his whole system was unscientific, assuming certain arbitrary principles, from which he reasoned deductively. “He assumed that fire is more worthy than earth; that the more worthy place must be given to the more worthy; that the extremity is more worthy than the intermediate parts,–and hence, as the centre is an extremity, the place of fire is at the centre of the universe, and that therefore the earth and other heavenly bodies move round the fiery centre.” But this was no heliocentric system, since the sun moved, like the earth, in a circle around the central fire. This was merely the work of the imagination, utterly unscientific, though bold and original. Nor did this hypothesis gain credit, since it was the fixed opinion of philosophers that the earth was the centre of the universe, around which the sun, moon, and planets revolved. But the Pythagoreans were the first to teach that the motions of the sun, moon, and planets are circular and equable. Their idea that the celestial bodies emitted a sound, and were combined into a harmonious symphony, was exceedingly crude, however beautiful “The music of the spheres” belongs to poetry, as well as to the speculations of Plato. Eudoxus, in the fifth century before Christ, contributed to science by making a descriptive map of the heavens, which was used as a manual of sidereal astronomy to the sixth century of our era. The error of only one hundred and ninety days in the periodic time of Saturn shows that there had been for a long time close observations. Aristotle–whose comprehensive intellect, like that of Bacon, took in all forms of knowledge–condensed all that was known in his day into a treatise concerning the heavens. He regarded astronomy as more intimately connected with mathematics than any other branch of science. But even he did not soar far beyond the philosophers of his day, since he held to the immobility of the earth,–the grand error of the ancients. Some few speculators in science (like Heraclitus of Pontus, and Hicetas) conceived a motion of the earth itself upon its axis, so as to account for the apparent motion of the sun; but they also thought it was in the centre of the universe. The introduction of the gnomon (time-pillar) and dial into Greece advanced astronomical knowledge, since they were used to determine the equinoxes and solstices, as well as parts of the day. Meton set up a sun-dial at Athens in the year 433 B.C., but the length of the hour varied with the time of the year, since the Greeks divided the day into twelve equal parts. Dials were common at Rome in the time of Plautus, 224 B.C. ; but there was a difficulty in using them, since they failed at night and in cloudy weather, and could not be relied on. Hence the introduction of water-clocks instead. Aristarchus is said to have combated (280 B.C.) the geocentric theory so generally received by philosophers, and to have promulgated the hypothesis “that the fixed stars and the sun are immovable; that the earth is carried round the sun in the circumference of a circle of which the sun is the centre; and that the sphere of the fixed stars, having the same centre as the sun, is of such magnitude that the orbit of the earth is to the distance of the fixed stars as the centre of the sphere of the fixed stars is to its surface.” Aristarchus also, according to Plutarch, explained the apparent annual motion of the sun in the ecliptic by supposing the orbit of the earth to be inclined to its axis. There is no evidence that this great astronomer supported his heliocentric theory with any geometrical proof, although Plutarch maintains that he demonstrated it. This theory gave great offence, especially to the Stoics; and Cleanthes, the head of the school at that time, maintained that the author of such an impious doctrine should be punished. Aristarchus left a treatise “On the Magnitudes and Distances of the Sun and Moon;” and his methods to measure the apparent diameters of the sun and moon are considered theoretically sound by modern astronomers, but practically inexact owing to defective instruments. He estimated the diameter of the sun at the seven hundred and twentieth part of the circumference of the circle which it describes in its diurnal revolution, which is not far from the truth; but in this treatise he does not allude to his heliocentric theory. Archimedes of Syracuse, born 287 B.C., is stated to have measured the distance of the sun, moon, and planets, and he constructed an orrery in which he exhibited their motions. But it was not in the Grecian colony of Syracuse, but of Alexandria, that the greatest light was shed on astronomical science. Here Aristarchus resided, and also Eratosthenes, who lived between the years 276 and 196 B.C. The latter was a native of Athens, but was invited by Ptolemy Euergetes to Alexandria, and placed at the head of the library. His great achievement was the determination of the circumference of the earth. This was done by measuring on the ground the distance between Syene, a city exactly under the tropic, and Alexandria, situated on the same meridian. The distance was found to be five thousand stadia. The meridional distance of the sun from the zenith of Alexandria he estimated to be 7° 12′, or a fiftieth part of the circumference of the meridian. Hence the circumference of the earth was fixed at two hundred and fifty thousand stadia,–which is not very different from our modern computation. The circumference being known, the diameter of the earth was easily determined. The moderns have added nothing to this method. He also calculated the diameter of the sun to be twenty-seven times greater than that of the earth, and the distance of the sun from the earth to be eight hundred and four million stadia, and that of the moon seven hundred and eighty thousand stadia,–a close approximation to the truth. Astronomical science received a great impulse from the school of Alexandria, the greatest light of which was Hipparchus, who flourished early in the second century before Christ. He laid the foundation of astronomy upon a scientific basis. “He determined,” says Delambre, “the position of the stars by right ascensions and declinations, and was acquainted with the obliquity of the ecliptic. He determined the inequality of the sun and the place of its apogee, as well as its mean motion; the mean motion of the moon, of its nodes and apogee; the equation of the moon’s centre, and the inclination of its orbit. He calculated eclipses of the moon, and used them for the correction of his lunar tables, and he had an approximate knowledge of parallax.” His determination of the motions of the sun and moon, and his method of predicting eclipses evince great mathematical genius. But he combined with this determination a theory of epicycles and eccentrics which modern astronomy discards. It was however a great thing to conceive of the earth as a solid sphere, and to reduce the phenomena of the heavenly bodies to uniform motions in circular orbits. “That Hipparchus should have succeeded in the first great steps of the resolution of the heavenly bodies into circular motions is a circumstance,” says Whewell, “which gives him one of the most distinguished places in the roll of great astronomers.” But he did even more than this: he discovered that apparent motion of the fixed stars round the axis of the ecliptic, which is called the Precession of the Equinoxes,–one of the greatest discoveries in astronomy. He maintained that the precession was not greater than fifty-nine seconds, and not less than thirty-six seconds. Hipparchus also framed a catalogue of the stars, and determined their places with reference to the ecliptic by their latitudes and longitudes. Altogether he seems to have been one of the greatest geniuses of antiquity, and his works imply a prodigious amount of calculation. Astronomy made no progress for three hundred years, although it was expounded by improved methods. Posidonius constructed an orrery, which exhibited the diurnal motions of the sun, moon, and five planets. Posidonius calculated the circumference of the earth to be two hundred and forty thousand stadia, by a different method from Eratosthenes. The barrenness of discovery from Hipparchus to Ptolemy,–the Alexandrian mathematician, astronomer, and geographer in the second century of the Christian era,–in spite of the patronage of the royal Ptolemies of Egypt, was owing to the want of instruments for the accurate measure of time (like our clocks), to the imperfection of astronomical tables, and to the want of telescopes. Hence the great Greek astronomers were unable to realize their theories. Their theories however were magnificent, and evinced great power of mathematical combination; but what could they do without that wondrous instrument by which the human eye indefinitely multiplies its power? Moreover, the ancients had no accurate almanacs, since the care of the calendar belonged not so much to the astronomers as to the priests, who tampered with the computation of time for sacerdotal objects. The calendars of different communities differed. Hence Julius Caesar rendered a great service to science by the reform of the Roman calendar, which was exclusively under the control of the college of pontiffs, or general religious overseers. The Roman year consisted of three hundred and fifty-five days; and in the time of Caesar the calendar was in great confusion, being ninety days in advance, so that January was an autumn month. He inserted the regular intercalary month of twenty-three days, and two additional ones of sixty-seven days. These, together with ninety days, were added to three hundred and sixty-five days, making a year of transition of four hundred and forty-five days, by which January was brought back to the first month in the year after the winter solstice; and to prevent the repetition of the error, he directed that in future the year should consist of three hundred and sixty-five and one-quarter days, which he effected by adding one day to the months of April, June, September, and November, and two days to the months of January, Sextilis, and December, making an addition of ten days to the old year of three hundred and fifty-five. And he provided for a uniform intercalation of one day in every fourth year, which accounted for the remaining quarter of a day. Caesar was a student of astronomy, and always found time for its contemplation. He is said even to have written a treatise on the motion of the stars. He was assisted in his reform of the calendar by Sosigines, an Alexandrian astronomer. He took it out of the hands of the priests, and made it a matter of pure civil regulation. The year was defined by the sun, and not as before by the moon. Thus the Romans were the first to bring the scientific knowledge of the Greeks into practical use; but while they measured the year with a great approximation to accuracy, they still used sun-dials and water-clocks to measure diurnal time. Yet even these were not constructed as they should have been. The hour-marks on the sun-dial were all made equal, instead of varying with the periods of the day,–so that the length of the hour varied with the length of the day. The illuminated interval was divided into twelve equal parts; so that if the sun rose at five A.M., and set at eight P.M., each hour was equal to eighty minutes. And this rude method of measurement of diurnal time remained in use till the sixth century. Clocks, with wheels and weights, were not invented till the twelfth century. The last great light among the ancients in astronomical science was Ptolemy, who lived from 100 to 170 A.D., in Alexandria. He was acquainted with the writings of all the previous astronomers, but accepted Hipparchus as his guide. He held that the heaven is spherical and revolves upon its axis; that the earth is a sphere, and is situated within the celestial sphere, and nearly at its centre; that it is a mere point in reference to the distance and magnitude of the fixed stars, and that it has no motion. He adopted the views of the ancient astronomers, who placed Saturn, Jupiter, and Mars next under the sphere of the fixed stars, then the sun above Venus and Mercury, and lastly the moon next to the earth. But he differed from Aristotle, who conceived that the earth revolves in an orbit around the centre of the planetary system, and turns upon its axis,–two ideas in common with the doctrines which Copernicus afterward unfolded. But even Ptolemy did not conceive the heliocentric theory,–the sun the centre of our system. Archimedes and Hipparchus both rejected this theory. In regard to the practical value of the speculations of the ancient astronomers, it may be said that had they possessed clocks and telescopes, their scientific methods would have sufficed for all practical purposes. The greatness of modern discoveries lies in the great stretch of the perceptive powers, and the magnificent field they afford for sublime contemplation. “But,” as Sir G. Cornewall Lewis remarks, “modern astronomy is a science of pure curiosity, and is directed exclusively to the extension of knowledge in a field which human interests can never enter. The periodic time of Uranus, the nature of Saturn’s ring, and the occultation of Jupiter’s satellites are as far removed from the concerns of mankind as the heliacal rising of Sirius, or the northern position of the Great Bear.” This may seem to be a utilitarian view, with which those philosophers who have cultivated science for its own sake, finding in the same a sufficient reward, can have no sympathy. The upshot of the scientific attainments of the ancients, in the magnificent realm of the heavenly bodies, would seem to be that they laid the foundation of all the definite knowledge which is useful to mankind; while in the field of abstract calculation they evinced reasoning and mathematical powers that have never been surpassed. Eratosthenes, Archimedes, and Hipparchus were geniuses worthy to be placed by the side of Kepler, Newton, and La Place, and all ages will reverence their efforts and their memory. It is truly surprising that with their imperfect instruments, and the absence of definite data, they reached a height so sublime and grand. They explained the doctrine of the sphere and the apparent motions of the planets, but they had no instruments capable of measuring angular distances. The ingenious epicycles of Ptolemy prepared the way for the elliptic orbits and laws of Kepler, which in turn conducted Newton to the discovery of the law of gravitation,–the grandest scientific discovery in the annals of our race. Closely connected with astronomical science was geometry, which was first taught in Egypt,–the nurse and cradle of ancient wisdom. It arose from the necessity of adjusting the landmarks disturbed by the inundations of the Nile. There is hardly any trace of geometry among the Hebrews. Among the Hindus there are some works on this science, of great antiquity. Their mathematicians knew the rule for finding the area of a triangle from its sides, and also the celebrated proposition concerning the squares on the sides of the right-angled triangle. The Chinese, it is said, also knew this proposition before it was known to the Greeks, among whom it was first propounded by Thales. He applied a circle to the measurement of angles. Anaximander made geographical charts, which required considerable geometrical knowledge. Anaxagoras employed himself in prison in attempting to square the circle. Thales, as has been said, discovered the important theorem that in a right-angled triangle the squares on the sides containing the right angle are together equal to the square on the opposite side of it. Pythagoras discovered that of all figures having the same boundary, the circle among plane figures and the sphere among solids are the most capacious. 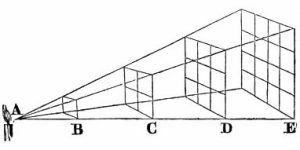 Hippocrates treated of the duplication of the cube, and wrote elements of geometry, and knew that the area of a circle was equal to a triangle whose base is equal to its circumference and altitude equal to its radius. The disciples of Plato invented conic sections, and discovered the geometrical foci. It was however reserved for Euclid to make his name almost synonymous with geometry. He was born 323 B.C., and belonged to the Platonic sect, which ever attached great importance to mathematics. His “Elements” are still in use, as nearly perfect as any human production can be. They consist of thirteen books. The first four are on plane geometry; the fifth is on the theory of proportion, and applies to magnitude in general; the seventh, eighth, and ninth are on arithmetic; the tenth on the arithmetical characteristics of the division of a straight line; the eleventh and twelfth on the elements of solid geometry; the thirteenth on the regular solids. These “Elements” soon became the universal study of geometers throughout the civilized world; they were translated into the Arabic, and through the Arabians were made known to mediaeval Europe. There can be no doubt that this work is one of the highest triumphs of human genius, and it has been valued more than any single monument of antiquity; it is still a text-book, in various English translations, in all our schools. Euclid also wrote various other works, showing great mathematical talent. Perhaps a greater even than Euclid was Archimedes, born 287 B.C. He wrote on the sphere and cylinder, terminating in the discovery that the solidity and surface of a sphere are two thirds respectively of the solidity and surface of the circumscribing cylinder. He also wrote on conoids and spheroids. “The properties of the spiral and the quadrature of the parabola were added to ancient geometry by Archimedes, the last being a great step in the progress of the science, since it was the first curvilineal space legitimately squared.” Modern mathematicians may not have the patience to go through his investigations, since the conclusions he arrived at may now be reached by shorter methods; but the great conclusions of the old geometers were reached by only prodigious mathematical power. 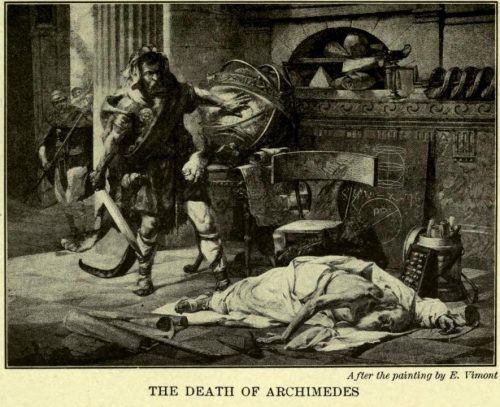 Archimedes is popularly better known as the inventor of engines of war and of various ingenious machines than as a mathematician, great as were his attainments in this direction. His theory of the lever was the foundation of statics till the discovery of the composition of forces in the time of Newton, and no essential addition was made to the principles of the equilibrium of fluids and floating bodies till the time of Stevin, in 1608. Archimedes detected the mixture of silver in a crown of gold which his patron, Hiero of Syracuse, ordered to be made; and he invented a water-screw for pumping water out of the hold of a great ship which he had built. He contrived also the combination of pulleys, and he constructed an orrery to represent the movement of the heavenly bodies. He had an extraordinary inventive genius for discovering new provinces of inquiry and new points of view for old and familiar objects. Like Newton, he had a habit of abstraction from outward things, and would forget to take his meals. He was killed by Roman soldiers when Syracuse was taken; and the Sicilians so soon forgot his greatness that in the time of Cicero they did not know where his tomb was. Eratosthenes was another of the famous geometers of antiquity, and did much to improve geometrical analysis. He was also a philosopher and geographer. He gave a solution of the problem of the duplication of the cube, and applied his geometrical knowledge to the measurement of the magnitude of the earth,–being one of the first who brought mathematical methods to the aid of astronomy, which in our day is almost exclusively the province of the mathematician. Apollonius of Perga, probably about forty years younger than Archimedes, and his equal in mathematical genius, was the most fertile and profound writer among the ancients who treated of geometry. He was called the Great Geometer. His most important work is a treatise on conic sections, which was regarded with unbounded admiration by contemporaries, and in some respects is unsurpassed by any thing produced by modern mathematicians. He however made use of the labors of his predecessors, so that it is difficult to tell how far he is original. But all men of science must necessarily be indebted to those who have preceded them. Even Homer, in the field of poetry, made use of the bards who had sung for a thousand years before him; and in the realms of philosophy the great men of all ages have built up new systems on the foundations which others have established. If Plato or Aristotle had been contemporaries with Thales, would they have matured so wonderful a system of dialectics? Yet if Thales had been contemporaneous with Plato, he might have added to the great Athenian’s sublime science even more than did Aristotle. So of the great mathematicians of antiquity; they were all wonderful men, and worthy to be classed with the Newtons and Keplers of our times. Considering their means and the state of science, they made as great though not as fortunate discoveries,–discoveries which show patience, genius, and power of calculation. Apollonius was one of these,–one of the master intellects of antiquity, like Euclid and Archimedes; one of the master intellects of all ages, like Newton himself. I might mention the subjects of his various works, but they would not be understood except by those familiar with mathematics. Other famous geometers could also be named, but such men as Euclid, Archimedes, and Apollonius are enough to show that geometry was cultivated to a great extent by the philosophers of antiquity. It progressively advanced, like philosophy itself, from the time of Thales until it had reached the perfection of which it was capable, when it became merged into astronomical science. It was cultivated more particularly by the disciples of Plato, who placed over his school this inscription: “Let no one ignorant of geometry enter here.” He believed that the laws by which the universe is governed are in accordance with the doctrines of mathematics. The same opinion was shared by Pythagoras, the great founder of the science, whose main formula was that number is the essence or first principle of all things. No thinkers ever surpassed the Greeks in originality and profundity; and mathematics, being highly prized by them, were carried to the greatest perfection their method would allow. They did not understand algebra, by the application of which to geometry modern mathematicians have climbed to greater heights than the ancients; but then it is all the more remarkable that without the aid of algebraic analysis they were able to solve such difficult problems as occupied the minds of Archimedes and Apollonius. No positive science can boast of such rapid development as geometry for two or three hundred years before Christ, and never was the intellect of man more severely tasked than by the ancient mathematicians. No empirical science can be carried to perfection by any one nation or in any particular epoch; it can only expand with the progressive developments of the human race itself. Nevertheless, in that science which for three thousand years has been held in the greatest honor, and which is one of the three great liberal professions of our modern times, the ancients, especially the Greeks, made considerable advance. The science of medicine, having in view the amelioration of human misery and the prolongation of life itself, was very early cultivated. It was, indeed, in old times another word for physics,–the science of Nature,–and the physician was the observer and expounder of physics. The physician was supposed to be acquainted with the secrets of Nature,–that is, the knowledge of drugs, of poisons, of antidotes to them, and the way to administer them. He was also supposed to know the process of preserving the body after death. Thus Joseph, seventeen hundred years before the birth of Christ, commanded his physician to embalm the body of his father; and the process of embalming was probably known to the Egyptians before the period when history begins. Helen, of Trojan fame, put into wine a drug that “frees man from grief and anger, and causes oblivion of all ills.” Solomon was a great botanist,–a realm with which the science of medicine is indissolubly connected. The origin of Hindu medicine is lost in remote antiquity. The Ayur Veda, written nine hundred years before Hippocrates was born, sums up the knowledge of previous periods relating to obstetric surgery, to general pathology, to the treatment of insanity, to infantile diseases, to toxicology, to personal hygiene, and to diseases of the generative functions. Thus Hippocrates, the father of European medicine, must have derived his knowledge not merely from his own observations, but from the writings of men unknown to us and from systems practised for an indefinite period. The real founders of Greek medicine are fabled characters, like Hercules and Aesculapius,–that is, benefactors whose fictitious names alone have descended to us. They are mythical personages, like Hermes and Chiron. Twelve hundred years before Christ temples were erected to Aesculapius in Greece, the priests of which were really physicians, and the temples themselves hospitals. In them were practised rites apparently mysterious, but which modern science calls by the names of mesmerism, hydropathy, the use of mineral springs, and other essential elements of empirical science. And these temples were also medical schools. That of Cos gave birth to Hippocrates, and it was there that his writings were begun. Pythagoras–for those old Grecian philosophers were the fathers of all wisdom and knowledge, in mathematics and empirical sciences as well as philosophy itself–studied medicine in the schools of Egypt, Phoenicia, Chaldaea, and India, and came in conflict with sacerdotal power, which has ever been antagonistic to new ideas in science. He travelled from town to town as a teacher or lecturer, establishing communities in which medicine as well as numbers was taught. The greatest name in medical science in ancient or in modern times, the man who did the most to advance it, the greatest medical genius of whom we have any early record, was Hippocrates, born on the island of Cos, 460 B.C., of the great Aesculapian family. He received his instruction from his father. We know scarcely more of his life than we do of Homer himself, although he lived in the period of the highest splendor of Athens. Even his writings, like those of Homer, are thought by some to be the work of different men. They were translated into Arabic, and were no slight means of giving an impulse to the Saracenic schools of the Middle Ages in that science in which the Saracens especially excelled. The Hippocratic collection consists of more than sixty works, which were held in the highest estimation by the ancient physicians. Hippocrates introduced a new era in medicine, which before his time had been monopolized by the priests. He carried out a system of severe induction from the observation of facts, and is as truly the creator of the inductive method as Bacon himself. 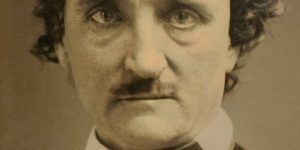 He abhorred theories which could not be established by facts; he was always open to conviction, and candidly confessed his mistakes; he was conscientious in the practice of his profession, and valued the success of his art more than silver and gold. The Athenians revered Hippocrates for his benevolence as well as genius. The great principle of his practice was trust in Nature; hence he was accused of allowing his patients to die. But this principle has many advocates among scientific men in our day; and some suppose that the whole successful practice of Homoeopathy rests on the primal principle which Hippocrates advanced, although the philosophy of it claims a distinctly scientific basis in the principle similia similibus curantur. Hippocrates had great skill in diagnosis, by which medical genius is most severely tested; his practice was cautious and timid in contrast with that of his contemporaries. He is the author of the celebrated maxim, “Life is short and art is long.” He divides the causes of disease into two principal classes,–the one comprehending the influence of seasons, climates, and other external forces; the other including the effects of food and exercise. To the influence of climate he attributes the conformation of the body and the disposition of the mind; to a vicious system of diet he attributes innumerable forms of disease. For more than twenty centuries his pathology was the foundation of all the medical sects. He was well acquainted with the medicinal properties of drugs, and was the first to assign three periods to the course of a malady. He knew but little of surgery, although he was in the habit of bleeding, and often employed the knife; he was also acquainted with cupping, and used violent purgatives. He was not aware of the importance of the pulse, and confounded the veins with the arteries. Hippocrates wrote in the Ionic dialect, and some of his works have gone through three hundred editions, so highly have they been valued. His authority passed away, like that of Aristotle, on the revival of science in Europe. Yet who have been greater ornaments and lights than these two distinguished Greeks? The school of Alexandria produced eminent physicians, as well as mathematicians, after the glory of Greece had departed. So highly was it esteemed that Galen in the second century,–born in Greece, but famous in the service of Rome,–went there to study, five hundred years after its foundation. It was distinguished for inquiries into scientific anatomy and physiology, for which Aristotle had prepared the way. Galen was the Humboldt of his day, and gave great attention to physics. In eight books he developed the general principles of natural science known to the Greeks. On the basis of the Aristotelian researches, the Alexandrian physicians carried out extensive inquiries in physiology. Herophilus discovered the fundamental principles of neurology, and advanced the anatomy of the brain and spinal cord. Although the Romans had but little sympathy with science or philosophy, being essentially political and warlike in their turn of mind, yet when they had conquered the world, and had turned their attention to arts, medicine received a good share of their attention. The first physicians in Rome were Greek slaves. Of these was Asclepiades, who enjoyed the friendship of Cicero. It is from him that the popular medical theories as to the “pores” have descended. He was the inventor of the shower-bath. Celsus wrote a work on medicine which takes almost equal rank with the Hippocratic writings. Medical science at Rome culminated in Galen, as it did at Athens in Hippocrates. Galen was patronized by Marcus Aurelius, and availed himself of all the knowledge of preceding naturalists and physicians. He was born at Pergamos about the year 130 A.D., where he learned, under able masters, anatomy, pathology, and therapeutics. He finished his studies at Alexandria, and came to Rome at the invitation of the Emperor. Like his imperial patron, Galen was one of the brightest ornaments of the heathen world, and one of the most learned and accomplished men of any age. He left five hundred treatises, most of them relating to some branch of medical science, which give him the name of being one of the most voluminous of authors. His celebrity is founded chiefly on his anatomical and physiological works. He was familiar with practical anatomy, deriving his knowledge from dissection. His observations about health are practical and useful; he lays great stress on gymnastic exercises, and recommends the pleasures of the chase, the cold bath in hot weather, hot baths for old people, the use of wine, and three meals a day. The great principles of his practice were that disease is to be overcome by that which is contrary to the disease itself,–hence the name Allopathy, invented by the founder of Homoeopathy to designate the fundamental principle of the general practice,–and that nature is to be preserved by that which has relation with nature. His “Commentaries on Hippocrates” served as a treasure of medical criticism, from which succeeding annotators borrowed. No one ever set before the medical profession a higher standard than Galen advanced, and few have more nearly approached it. He did not attach himself to any particular school, but studied the doctrines of each. The works of Galen constituted the last production of ancient Roman medicine, and from his day the decline in medical science was rapid, until it was revived among the Arabs. The physical sciences, it must be confessed, were not carried by the ancients to any such length as geometry and astronomy. In physical geography they were particularly deficient. Yet even this branch of knowledge can boast of some eminent names. When men sailed timidly along the coasts, and dared not explore distant seas, the true position and characteristics of countries could not be ascertained with the definiteness that it is at present. But geography was not utterly neglected in those early times, nor was natural history. Herodotus gives us most valuable information respecting the manners and customs of Oriental and barbarous nations; and Pliny wrote a Natural History in thirty-seven books, which is compiled from upwards of two thousand volumes, and refers to twenty thousand matters of importance. He was born 23 A.D., and was fifty-six when the eruption of Vesuvius took place, which caused his death. Pliny cannot be called a scientific genius in the sense understood by modern savants; nor was he an original observer,–his materials being drawn up second-hand, like a modern encyclopaedia. Nor did he evince great judgment in his selection: he had a great love of the marvellous, and his work was often unintelligible; but it remains a wonderful monument of human industry. His Natural History treats of everything in the natural world,–of the heavenly bodies, of the elements, of thunder and lightning, of the winds and seasons, of the changes and phenomena of the earth, of countries and nations, of seas and rivers, of men, animals, birds, fishes, and plants, of minerals and medicines and precious stones, of commerce and the fine arts. He is full of errors, but his work is among the most valuable productions of antiquity. Buffon pronounced his Natural History to contain an infinity of knowledge in every department of human occupation, conveyed in a dress ornate and brilliant. It is a literary rather than a scientific monument, and as such it is wonderful. In strict scientific value, it is inferior to the works of modern research; but there are few minds, even in these times, who have directed inquiries to such a variety of subjects as are treated in Pliny’s masterpiece. If we would compare the geographical knowledge of the ancients with that of the moderns, we confess to the immeasurable inferiority of the ancients. Eratosthenes, though more properly an astronomer, and the most distinguished among the ancients, was also a considerable writer on geography, indeed, the first who treated the subject systematically, although none of his writings have reached us. The improvements he pointed out were applied by Ptolemy himself. His work was a presentation of the geographical knowledge known in his day, so far as geography is the science of determining the position of places on the earth’s surface. When Eratosthenes began his labors, in the third century before Christ, it was known that the surface of the earth was spherical; he established parallels of latitude and longitude, and attempted the difficult undertaking of measuring the circumference of the globe by the actual measurement of a segment of one of its great circles. Hipparchus (beginning of second century before Christ) introduced into geography a great improvement; namely, the relative situation of places, by the same process that he determined the positions of the heavenly bodies. He also pointed out how longitude might be determined by observing the eclipses of the sun and moon. This led to the construction of maps; but none have reached us except those that were used to illustrate the geography of Ptolemy. Hipparchus was the first who raised geography to the rank of a science. He starved himself to death, being tired of life. Posidonius, who was nearly a century later, determined the arc of a meridian between Rhodes and Alexandria to be a forty-eighth part of the whole circumference,–an enormous calculation, yet a remarkable one in the infancy of astronomical science. His writings on history and geography are preserved only in quotations by Cicero, Strabo, and others. Geographical knowledge however was most notably advanced by Strabo, who lived in the Augustan era; although his researches were chiefly confined to the Roman empire. Strabo was, like Herodotus, a great traveller, and much of his geographical information is the result of his own observations. It is probable he was much indebted to Eratosthenes, who preceded him by three centuries. The authorities of Strabo were chiefly Greek, but his work is defective from the imperfect notions which the ancients had of astronomy; so that the determination of the earth’s figure by the measure of latitude and longitude, the essential foundation of geographical description, was unknown. The enormous strides which all forms of physical science have made since the discovery of America throw all ancient descriptions and investigations into the shade, and Strabo appears at as great disadvantage as Pliny or Ptolemy; yet the work of Strabo, considering his means, and the imperfect knowledge of the earth’s surface and astronomical science in his day, was really a great achievement. He treats of the form and magnitude of the earth, and devotes eight books to Europe, six to Asia, and one to Africa. The description of places belongs to Strabo, whose work was accepted as the text-book of the science till the fifteenth century, for in his day the Roman empire had been well surveyed. He maintained that the earth is spherical, and established the terms longitude and latitude, which Eratosthenes had introduced, and computed the earth to be one hundred and eighty thousand stadia in circumference, and a degree to be five hundred stadia in length, or sixty-two and a-half Roman miles. His estimates of the length of a degree of latitude were nearly correct; but he made great errors in the degrees of longitude, making the length of the world from east to west too great, which led to the belief in the practicability of a western passage to India. He also assigned too great length to the Mediterranean, arising from the difficulty of finding the longitude with accuracy. But it was impossible, with the scientific knowledge of his day, to avoid errors, and we are surprised that he made so few. Whatever may be said of the accuracy of the great geographer of antiquity, it cannot be denied that he was a man of immense research and learning. His work in seventeen books is one of the most valuable that have come down from antiquity, both from the discussions which run through it, and the curious facts which can be found nowhere else. It is scarcely fair to estimate the genius of Strabo by the correctness and extent of his geographical knowledge. All men are comparatively ignorant in science, because science is confessedly a progressive study. The great scientific lights of our day may be insignificant, compared with those who are to arise, if profundity and accuracy of knowledge be made the test. It is the genius of the ancients, their grasp and power of mind, their original labors, which we are to consider. 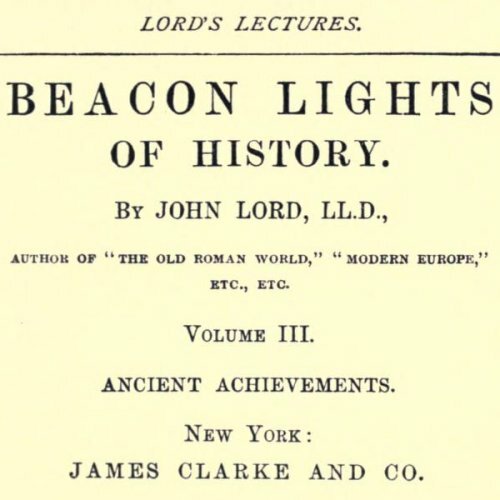 Thus it would seem that among the ancients, in those departments of science which are inductive, there were not sufficient facts, well established, from which to make sound inductions; but in those departments which are deductive, like pure mathematics, and which require great reasoning powers, there were lofty attainments,–which indeed gave the foundation for the achievements of modern science. An exceedingly learned work (London, 1862) on the Astronomy of the Ancients, by Sir George Cornewall Lewis, though rather ostentatious in the parade of authorities, and minute on points which are not of much consequence, is worth consulting. Delambre’s History of Ancient Astronomy has long been a classic, but is richer in materials for a history than a history itself. There is a valuable essay in the Encyclopaedia Britannica, which refers to a list of special authors. Whewell’s History of the Inductive Sciences may also be consulted with profit. Dunglison’s History of Medicine is a standard, giving much detailed information, and Leclerc among the French and Speugel among the Germans are esteemed Authorities. Strabo’s Geography is the most valuable of antiquity; see also Polybius: both of these have been translated and edited for English readers. The style of modern historical criticism is well exemplified in the discussions of the Germans whether the Arx on the Capitoline Hill occupied the northeastern or southwestern corner, which take up nearly one half of the learned article on the Capitoline in Smith’s Dictionary.